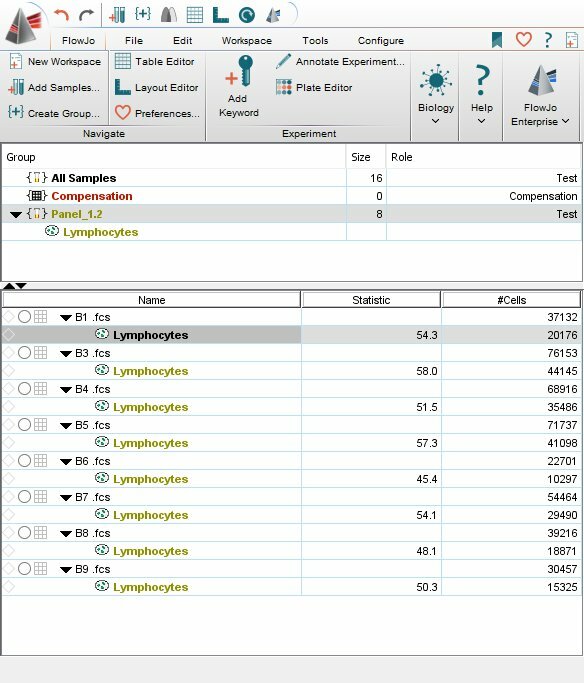 A series of drag operations using different modifier keys can be used to replicate analyses between samples and move populations and statistics from the Workspace to the Table and Layout Editors. (This information applies equally to performing operations on groups, but the resulting behavior may be somewhat different. This is discussed fully in the help on groups). Nodes can be replaced with the same methods above. FlowJo will notify you anytime a replacement is about to occur, and will confirm that you wish to use the same name for the replacement. These examples are all based on copying analysis nodes from one sample to another. 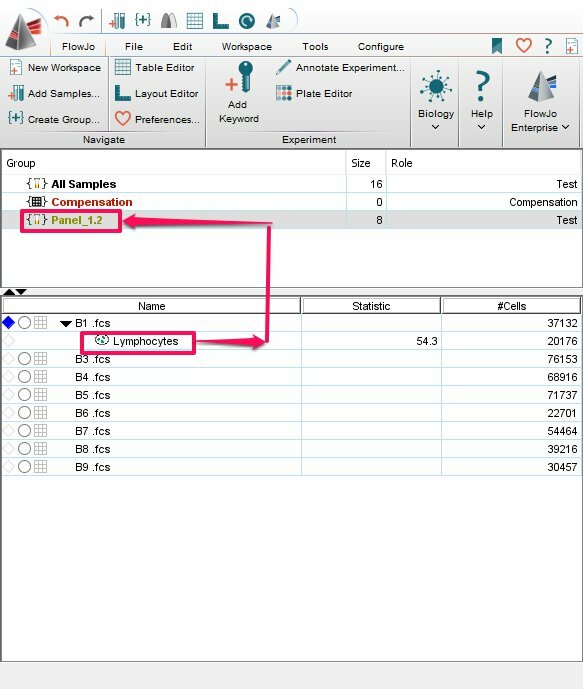 However, the same options are available for dragging within a single sample, and for dragging to the Table Editor or the Layout Editor.